The Evolution of God is a powerful wake-up call to mankind which offers insight, truths and tools for empowerment that can change your life and the evolution of the planet TODAY from War to Peace. 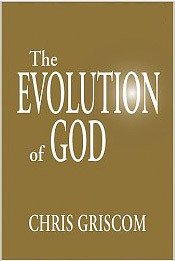 Chris Griscom international author and recipient of the Sewa Charkra award also bestowed on the Dalai Lama and Mother Theresa, takes you on a profound and personal journey of the evolution of God and your own personal belief system. Each piece of information provided along the way allows you to explore your repertoire of religion and sets a progressive path forward to creating inner and world peace though our ability to let our concept of God evolve .